Digital marketing drastically changed B2B companies’ buying behavior such that, for the unprepared internet marketing consultant, failure to adapt means losing to the competition. “Selling Online Marketing Services to B2B Companies” webinar addresses that need. This webinar is an overview of the massive opportunity in the B2B space. The webinar will also reveal some of the best steps required to find and close the right B2B leads for online marketing services. During this webinar the founders of AD Publishing will be covering some of the key methods, systems and tools used to acquire B2B clients who need Internet marketing services and are willing to pay for them. These are proven methods that the founders of AD Publishing have used for many years to build their business consultancy. 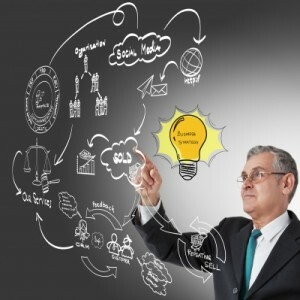 – How to identify what B2B companies need in terms of Internet marketing. These top 3 business needs will get you in the door quickly and profitably. – How to get B2B marketing departments to CALL YOU for your service. – How to get B2B companies to write you a setup fee, monthly fee, and stock options. Imagine getting in on the ground floor of real company and being rewarded now and later as the company grows. Don’t miss this opportunity to learn the key methods, systems and tools used to acquire B2B clients who need Internet marketing services and are willing to pay for them. These are proven methods our founders have used for many years to build our business consultancy. As CMO, Alex designs marketing strategies and implementation blueprints for clients, strategic partners, and the AD Publishing brand. 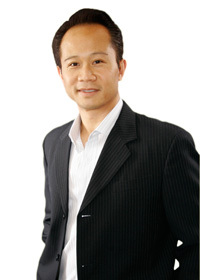 His current specialization is designing marketing and sales channels for USA and Asia commerce. He has extensive background in enterprise software sales, mobile technologies, E-commerce, and 360 marketing strategies and techniques. Previously, Alex was the WW Sales Development Manager for Hewlett Packard’s Internet Software Business, National Account Director for Computer Associate’s Enterprise Software Division, and Director of Product Marketing for Everypath, Inc., a $100M+ pre-IPO mobile software company. Alex holds an MBA from St. Mary’s College and a B.S. in Electrical Engineering from UCLA. He currently divides his time between the San Francisco Bay Area and Asia. David’s career spans across enterprise software, Internet applications, and mobile marketing. 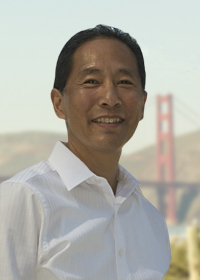 In previous roles, David was Global Marketing Director for Hewlett Packard’s Internet Software Business, Senior Director of Oracle’s Alliances & Sales channels in the Americas and Asia Pacific regions, and Vice President of Business Development for Everypath, Inc., one of the most sought-after pre-IPO mobile companies of its time, building strategic alliances and raising $20M (total $100M+) in financing and venture capital. A native of San Francisco, David holds a B.A. in Management from St. Mary’s College and has lived in Singapore, Hong Kong and London.